Or should it be whom? 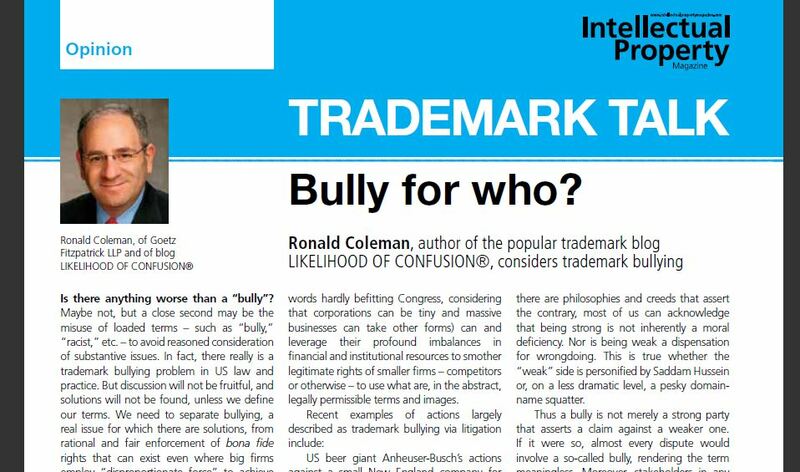 Anyway, my article on trademark bullying first published in January’s Intellectual Property Magazine and excerpted in this previous post, is now available free and easy for download, right here. 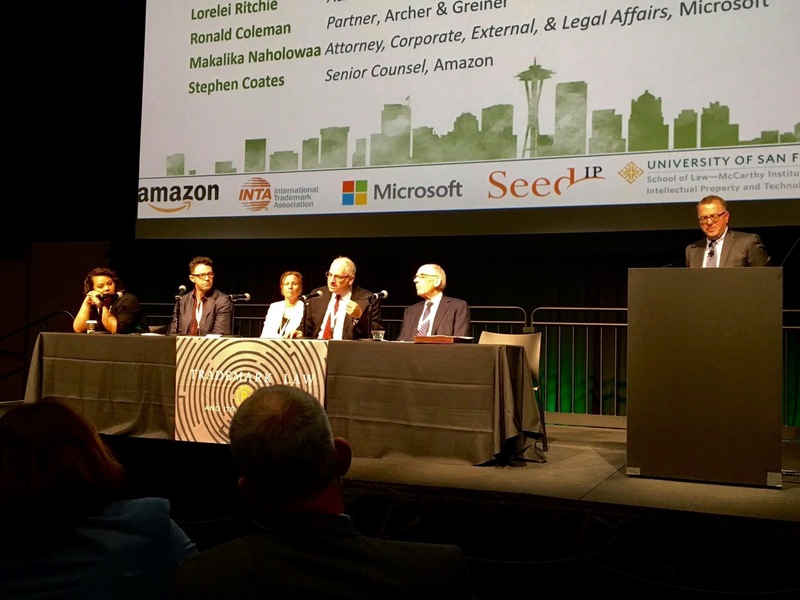 [T]here are real bullies, real abuses of the system, exactly as the economic theory of “rent seeking” predicts there would be. The problem is well understood by consideration of one of the best-known trademarks in the US, and one deserving of great protection: SUPER BOWL®, the name of the annual championship game in the National Football League (NFL). Like all IP owners holding premium “brand equity,” the NFL has in place an “enforcement programme” designed not only to protect its legitimate rights, but to establish a buffer zone of illegitimate, intimidation-based quasi-rights that have a very real effect because it is never economically rational to test them in court. Such a buffer zone establishes a zone of litigation-based (not legal-based, litigation-based) early warning triggers around the real rights, such that any purported infringer of the trademark – even a party making a protected fair use of the SUPER BOWL® mark – would have to traverse the hopelessly expensive no-man’s land of illegitimate litigation threats to establish his defense. Yes, Dave, I mentioned this in the article. Thanks for the reminder that today is the deadline! her rights, and that is wrong.